This quintessential and quirky ring is wonderfully created from 18ct white gold. Set to steal the show, a dazzling round diamonds sits upon the centre of a sparkling hexagon shape halo, featuring baguette and round cut diamonds. 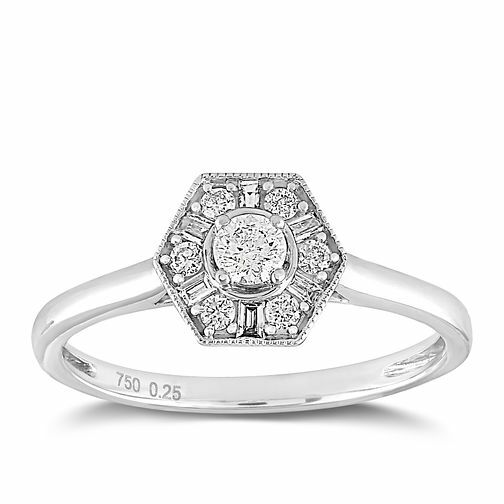 With set stones totalling 1/4ct, this ring is a gorgeous compliment to your own special moments.